A true humanitarian of the highest kind is what prompted our Nation’s 41st President George H. W. Bush to appoint Johnny as the national spokesman for the Points of Light Movement, a campaign that recognizes everyday men and women making a difference in their communities. Never one to sit idle Johnny is one of the few artists regardless of genres to tour consistently throughout their entire career. Touring most recently with the leads of New Edition Ralph Tresvant and Bobby Brown as one third of the super group Heads of State. However, it’s the massive buzz surrounding his latest project; his new solo album entitled “Still Winning” which was released in 2011on Notifi Records and distributed through Fontana Distribution that has Johnny poised to change the face of music once again. Loaded with a bevy of instant classics like the cd’s debut single “In the Mood” written by Dave Young, Johnny, and Ralph Stacy along with “Black Box” written and produced by multiple Grammy winner’s Jimmy Jam & Terry Lewis, “Let’s Stay Together” written and produced by hit maker extraordinaire Bryan Michael Cox & J. Que, “It Would Be You” produced by Troy Taylor and written by R&B sensation Trey Songz, “Trains, Planes, and Automobiles” written by Wyclef Jean & Johnny, and “Been Loving You”, a song that reunites Johnny with L.S.G. group mate Keith Sweat and Rock & Roll Hall of Famer Eddie Levert. Setting the stage for an album guaranteed to be at the top of both radio station’s and real music lovers’ playlist the world over. Generally considered the number one R&B crooner alive is a distinction well deserved by a true gentleman who will undoubtedly go down in the annals of music history as arguably the greatest singer to ever pick up a microphone… The Voice Johnny Gill. R&B legend Johnny Gill coming off a very successful “Road to the 30th Anniversary” tour for the last year with all 6 members of New Edition, Mr Gill has just released his 3rd single “Just The Way You Are” from his critically acclaimed album STILL WINNING. The single was produced by Troy Taylor and Vincent “Invincable” Watson and Co-Written by Grammy Award Winning singer/songwriter Johnta Austin.”Just The Way You Are” is receiving early rave reviews from urban radio major markets such as New Orleans, Philadelphia, Baltimore, Chicago, Charlotte and on Sirus/XM Satelitte. Following the amazing response of his 2nd single “It Would Be You” which was also produced by Troy Taylor and co -written by Grammy nominated singer/songwriter Trey Songz, Patrick Hayes and Troy Taylor. The new single, also follows the lead of the smash first single, “In The Mood” which climbed the Top 5 on the Billboard Urban Adult Singles Chart and the Top 20, on the Billboard Hot R&B and Hip Hop Singles Chart. 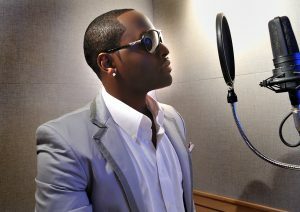 “Just The Way You Are” keeps Gill sounding as contemporary as Usher, Ne-Yo and today’s other chart topping R&B stars. The mid-tempo vibe of the song fits perfectly on all radio formats yet reminds his fans that he is still one of the best, most powerful vocalist around. “It’s a blessing to be able to record again after 16 years and I’m so excited that my fans are enjoying the new music,” stated Gill.